Nothing is better than curling up with a cup of your favorite chamomile or jasmine blend. Pay homage to the cozy brew with this charming beanie. 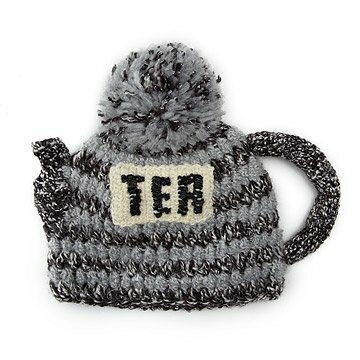 A whimsical topper for your winter ensemble or concert rendition of "I'm a Little Teapot", this fairtrade knit is handcrafted in Peru and features a charming handle and spout for well-brewed, whistle-worthy appeal. Handmade in Peru. Machine wash, tumble dry cool. The hat arrived in excellent condition. The material was better than expected. The colours were great as well. Keep as cozy as a spot of tea with this handmade teapot hat.